For years, drivers across the country have been asking about the possibility of a Jeep Wrangler that incorporates the convenience and utility of a pickup truck. After all, an off-road trekking adventure might prove more appealing with a truck bed in back. Now, it appears Jeep is finally getting ready to release a production version of the 2017 Jeep Wrangler pickup, with spy photos already spotting one. Find out what we know so far. Jeep CEO Mike Manley recently confirmed that Jeep will be releasing a pickup version of the Wrangler sometime late this year, after the release of the regular 2017 Jeep Wrangler. Based on the newest Wrangler platform, the pickup is likely to keep its truck-based, body-on-frame design, though it could get increased fuel economy thanks to the possible addition of more durable, lightweight aluminum elements to the frame. This isn’t the first time Jeep has ventured into the pickup segment. In 2005, they gave us the Jeep Gladiator concept, but it never made it to production, nor did any of the other concept models to follow. In fact, the last time Jeep had a production pickup on the market was in 1992, when the Jeep Comanche dropped off the assembly lines. 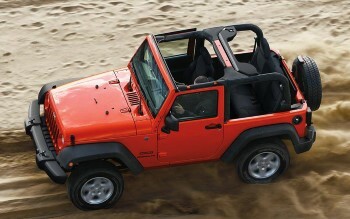 Before that, there was the Jeep Scrambler, a kind of pickup/SUV hybrid that hasn’t been around for over 30 years. Needless to say, Jeep enthusiasts who also like the utility of a pickup have plenty to be excited about with the upcoming release of the 2017 Jeep Wrangler pickup. We don’t yet have a release date on the 2017 Jeep Wrangler pickup, and any specs floating around at this point are merely speculative. You can be sure that we’ll let drivers know as soon as there’s more information to be had. 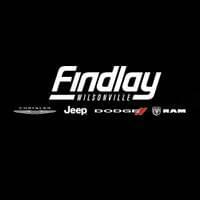 Stay up-to-speed with Findlay Chrysler Jeep Dodge RAM. In the meantime, test drive the current generation of the Jeep Wrangler SUV at our dealership, located at 10305 US-224 in Findlay, OH.